Welcome to the TBA21 Press Center! The Press Center is free of charge and provides press releases as well as downloads of related Content. The Content is provided under a non-exclusive right for the purpose of editorial coverage. Unless subject to a different agreement, material available via the Press Center is released solely for use of journalists and press. The Content shall only be used for coverage relating to the materials. Any use for commercial purposes, or private advantage, and advertising in particular, is not permitted and expressly forbidden. The right of use is limited to the period during which the content is available in the Press Center and to the geographical area of the activities of TBA21. Use of the Content in an objectionable or illegal context is not permitted. The transfer and/or duplication of the Content to/for third parties is not allowed unless absolutely essential within the scope of the stated purpose. Electronic storage and all other forms of duplication are only permitted in the course of standard production procedures and during employment that is lawful and in accordance with the intended use. All Content is protected by copyright and personal rights, registered trademark rights, or any other status granted as part of intellectual property rights. All Content in the Press Center, such as photographs, videos, audio files, documents, and other materials is the property of TBA21, its licensers, or external owners, who provide content and are credited in the Press Center. If photographs, films, or other images are used, the name of TBA21 and the copyright credit, and/or the name of the photographer must be given. This applies to all print and electronic publications. TBA 21 accepts no liability for the availability of content or access to the Press Center and its functionality. The content provided via the Press Center is prepared without warranty. We exclude all guarantees of completeness, satisfactory quality, and suitability of the content on offer. In addition, we retain the right to alter all content in the Press Center without prior notice. Content may contain links to other websites. We have no control over the websites of third party providers and are not responsible for their content or any losses or damages that you may incur from the use of such third party provider websites. Members of the media can register for access and will then receive a press login. Information given when registering must be complete and made on the basis of accurate and current data. You are required not to share the password provided to you and to provide immediate notice in the case of its loss. The security of your user identification is your responsibility. You shall be liable for any use of the services and content on offer and all actions undertaken with your user identification until you have informed us of its loss and/or supposed improper use. TBA21 reserves the right to decline, block, or withdraw access to the mailing list and/or press login at its own discretion. TBA21 trusts that the Press Center will provide your work with the support you may need. We look forward to your article. Major multi-media commission Armin Linke: Prospecting Ocean opens May 23, 2018 at Institute of Marine Sciences (CNR-ISMAR) in Venice in prelude to next year’s launch. Venice, Italy—May 22, 2018—Francesca von Habsburg, Founder and Executive Producer of TBA21–Academy, today announced the opening of Ocean Space in summer 2019. Ocean Space will serve as an ideas accelerator for TBA21–Academy, a nomadic academy that fosters collaboration among artists, scientists, policy makers, and frontline leadership from climate-change hotspots in cross-disciplinary explorations, catalyzing ocean literacy, research, and advocacy through the arts. 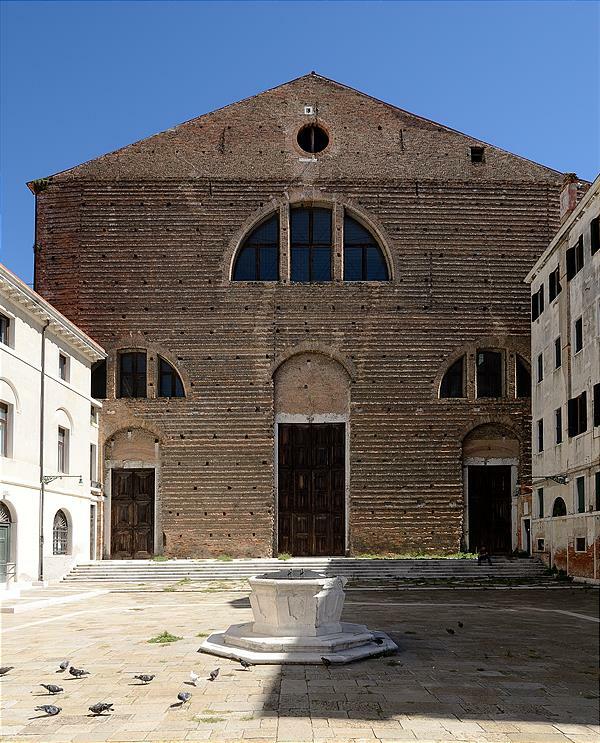 Headquartered in the newly restored Church of San Lorenzo in Venice, Ocean Space will provide facilities for installations, performances, workshops, archives, and research for TBA21–Academy and the organizations across the globe with which it collaborates. The organization of cross-disciplinary workshops and programs in conjunction with major international policy-setting conferences, including the first United Nations Oceans Conference in New York and UN Climate Change Conference in Bonn. These events have drawn together such artists as Joan Jonas and Mark Dion; scientists Walter Munk and Sylvia Earle; policy makers Thomas Remengesau, Jr. President of Palau, and Kalani English, Majority Leader of the Hawaii State Legislature. The ongoing international tour of Tidalectics, TBA21–Academy’s first exhibition providing an oceanic worldview and featuring work by some 20 artists, including Doug Aitken, Tue Greenfort, Janaina Tschape, and Julian Charrière—many of which resulted from the artists’ travels with TBA21–Academy. The exhibition opens at the Museum of Modern of Art Dubrovnik and the Franciscan Monastery of Lopud in early July 2018 In addition, TBA21–Academy and MIT Press co-published a compendium of research surrounding Tidalectics, including seminal essays by Epeli Hau‘ofa, Stefan Helmreich, Elizabeth A. Povinelli, and Philip E. Steinberg, among others. Commissioning of major new works of art, including Purple by John Akomfrah, an immersive installation exploring climate change, rising sea levels, and extreme weather events in the age of the Anthropocene, which premiered at the Barbican in London in fall 2017; and the investigative exhibition Prospecting Ocean by Armin Linke, opening in coordination with the 2018 Venice Architecture Biennale at the Institute of Marine Sciences of the National Research Council of Italy (CNR-ISMAR), which investigates the tension between ecological protection of our oceans and their political and economic exploitation. “We selected Venice as the global port for TBA21–Academy as it has long been a center for international exchange. Historically, the city served as a critical link between Europe and some of the furthest places around the world though trade and the navigation of the high seas. Today, Venice’s Biennales and festivals convene leading artists, architects, and filmmakers from around the world, which, in turn, attract great audiences in an incredible exchange of ideas. At the same time, Venice suffers from many of same problems that other nations are struggling with—rising sea levels—which directly connects it with the islands throughout the Pacific, where many of our programs are focused,” stated von Habsburg. Further details about Ocean Space’s inaugural program and facilities will be shared in the coming months. Founded by Francesca von Habsburg and drawing on her experience as a producer of cross-disciplinary art installations and socially engaged cultural programming, TBA21–Academy leads artists, scientists, and thought-leaders on expeditions of collaborative discovery. Its mission is to foster a deeper understanding of our ocean through the lens of art and to engender creative solutions to its most pressing issues. Led by Director Markus Reymann, the itinerant Academy commissions interdisciplinary research that catalyzes engagement, stimulates new knowledge, and inspires artistic production. TBA21–Academy’s program is informed by a belief in the power of exchange between disciplines and in the ability of the arts as a vessel for communication, change, and action. Established in 2011, TBA21–Academy is a non-profit, non-collecting research organization, supported by individuals, foundations, universities, government agencies, and corporate philanthropies.